Japan | So, You Think You Can Teach ESL? For many teens in school, volunteering is typically a requirement for graduation. Many teens probably don’t like spending their free time cleaning up trash in the park, talking to elderly people in a nursing home, or repainting some old building. I certainly didn’t. Like most teens, I rather wanted to hang out with friends, watch movies, and fool around. But volunteering is truly a beneficial way for teens to discover new interests, make connections, help others and make an impact in their communities. Volunteering projects and experiences help teens build character, social skills, independence, and responsibility. Volunteers are given chances to work with people they may or may not know, understand differences of opinion, and solve problems using teamwork. 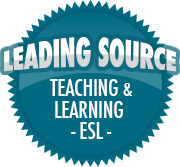 It also provides ESL students with the perfect opportunity to use their skills in real-life interactions. Teenage ESL students are seldom given chances to practice speaking English outside of school – this is especially true in countries such as South Korea or Japan – so their language skills fail to improve over time. The volunteer projects that students can be a part of don’t have to be large ones (like building houses in India); they can be simple projects such as working at a cultural booth during a festival. They can give talks and presentations about their own country, interpret for people who don’t speak their language, be a tour guide for a local site, or even mentor younger students who are learning English for the first time! ESL students receive valuable real-life experiences through volunteering! They can improve their English communication skills, build character, make new friends and have fun all at the same time! My school’s middle and high school students plan do some volunteer work over their spring break in April. I am excited to hear about the projects they completed, and perhaps I’ll ask a few of them to write their experiences (or have their teachers ask). How can YOU work volunteering into your ESL students’ lives?